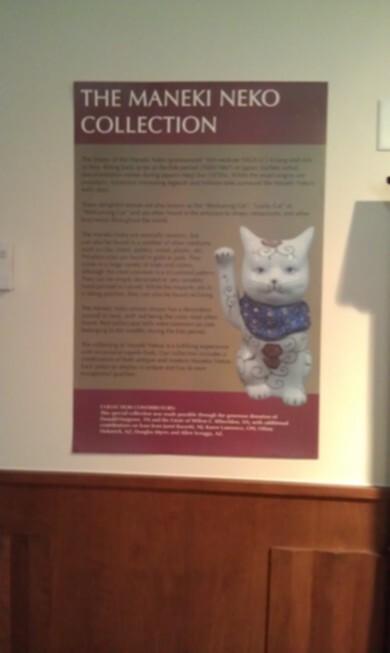 The Maneki Neko Special Collection at the CFA Museum in Alliance, Ohio is something no Japanese Bobtail Breeder/Exhibitor should miss. 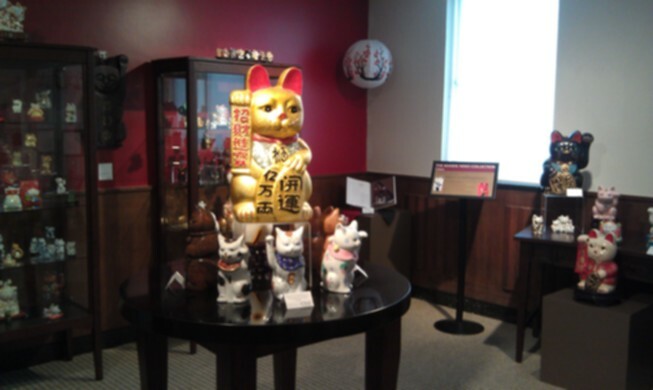 The Maneki Neko Collection is open at the Feline Historical Museum, 260 East Main Street, Alliance, OH from until October 31st, 2012. 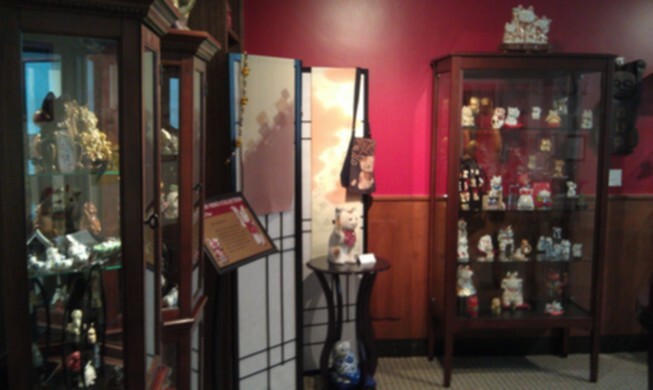 However for those Japanese Bobtail Fanciers who won’t be able to visit the exhibition before it closes, Julie Keyer and Lynn Search were there on February 4, 2012 and Julie took the following photos of the room that houses the Collection. 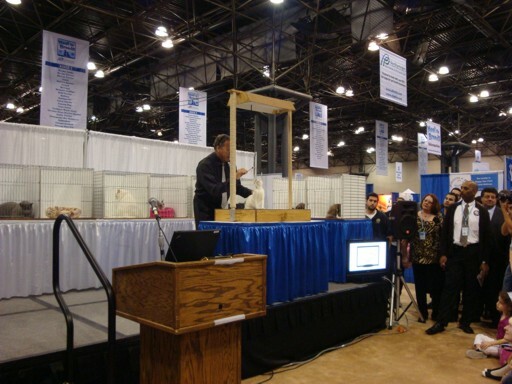 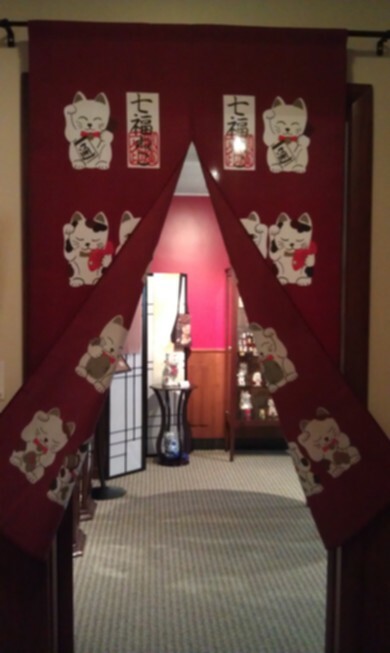 If the entrance doorway looks familiar, you might have seen it in New York City -- it was on display originally at the Japanese Bobtail Breed Council booth at Meet The Breeds. 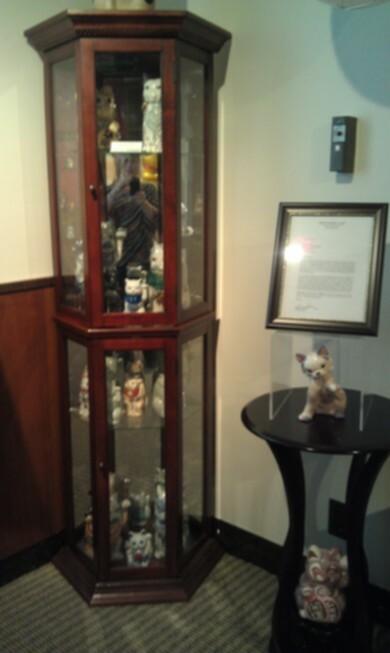 Allen Scruggs and Douglas Myers donated it to the Breed Council and when CFA participation in Meet The Breeds ended, the doorway came to the CFA Museum. 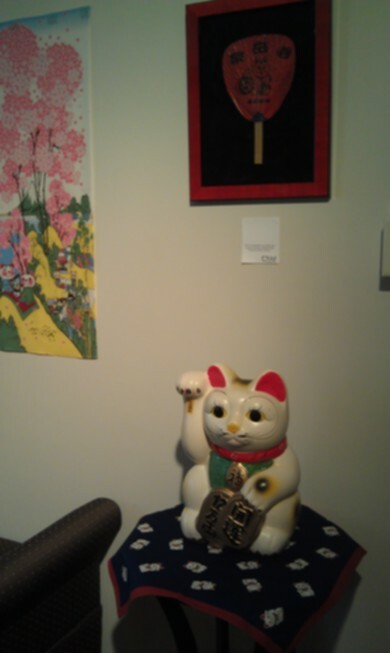 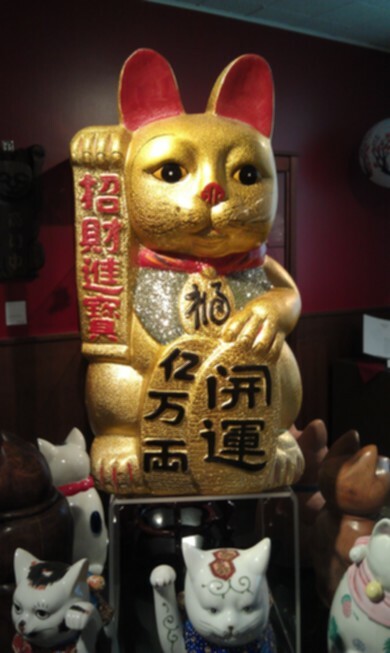 The photos are a tour of the display of beautiful Maneki Neko’s. 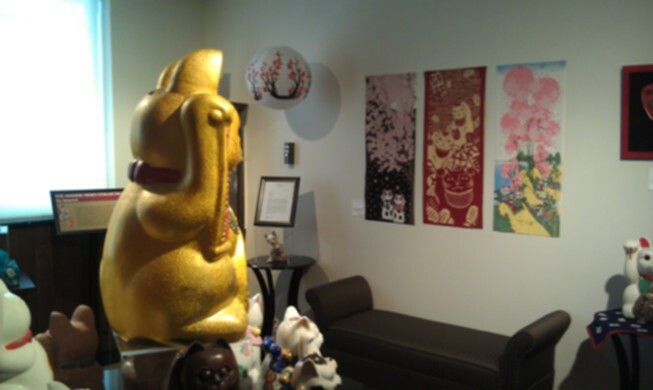 We hope you will have an opportunity to visit the collection yourself before it leaves the Museum.